The tech giant has also brought on SKDKnickerbocker, Spectrum Science Communications, and Civic Entertainment Group. ARMONK, NY: IBM has selected Weber Shandwick as its global anchor agency, supporting the technology giant worldwide across its business sectors, following a competitive review that kicked off in March. Weber will specifically work on the IBM Watson Content Hub, IBM’s newsroom, stakeholder engagement, major events, forums, and metrics. EVP Renee Austin is Weber’s senior account lead for IBM, drawing from Weber’s account teams from around the world. "There is a compelling story to tell as IBM continues to reinvent itself as an incumbent disrupter," said Weber CEO Andy Polansky. "We look forward to doing that across channels in compelling ways with this blended team." SKDKnickerbocker is aiding IBM with its narrative, strategy development, and working on IBM citizenship. SKDK partners Hilary Rosen and Bill Knapp are leading its account team. "When we look across the board at the assets of this company, from the people to the leadership to the innovation that is taking place, we are excited about the story in AI, cloud, and quantum," said Rosen. Spectrum Science is supporting IBM on Watson Health and thought leadership; Civic Entertainment Group is working citizenship and influencer initiatives. IBM chief communications officer Ray Day called the global agency review, inviting all of IBM’s 20 agency partners to pitch, including incumbents Text100 and Ketchum, which had worked with the company for 17 years. Text100 decided not to pitch, while Ketchum participated in the initial written stage but did not advance to the next round. IBM had 18 written responses to its RFP and nine in-person presentations. The four firms were selected in March and the transition took place last month. Starting this week, it is "full speed ahead," said Day. "That [response to our RFP] underscored what a fantastic brand we have," said Day. "We had a tremendous response, with so many people wanting to get involved. Even after the deadline, we still heard from other agencies wanting to get involved." 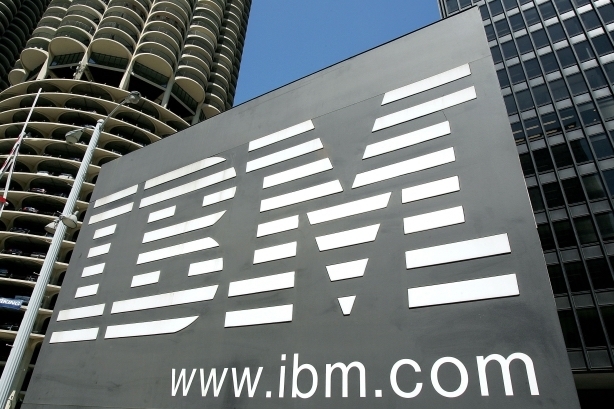 All four firms will support IBM globally. Weber will have team members embedded in some of IBM’s geographies. The account's budget wasn't disclosed. Day said in March that he wants to create a fully integrated "blended team" comprising his in-house talent and its agency partners. The company has brought on a collection of agencies to handle comms and citizen support due to the "wide diversity" of IBM’s business, Day said. He explanined that he has three strategic objectives for IBM’s comms and citizenship teams: to improve reputation among all stakeholders; build brand favorability and product consideration; and expand communication capability and expertise. Day, former Ford Motor comms lead, joined IBM last December, succeeding marketing and communications executive Jon Iwata, who worked at the company for 34 years. He said at the time that his first priority was reorganizing the company’s in-house team "based on the story IBM is telling and the audience [the company] is trying to reach." Earlier in March, IBM brought on Edelman's Erin Roche as VP of communications for systems and Collective Intelligence’s Kevin McDermott as VP of strategic and executive communications, plus two other execs. David Yaun is set to exit his role as VP of corporate communications for thought leadership and content strategy at IBM at the end of June. IBM reported better-than-expected earnings in the first quarter after 22 straight quarters of declining revenue. The company garnered revenue of $19.1 billion, versus $18.8 billion as expected by analysts, according to CNBC. This story was updated on May 7 with additional information.